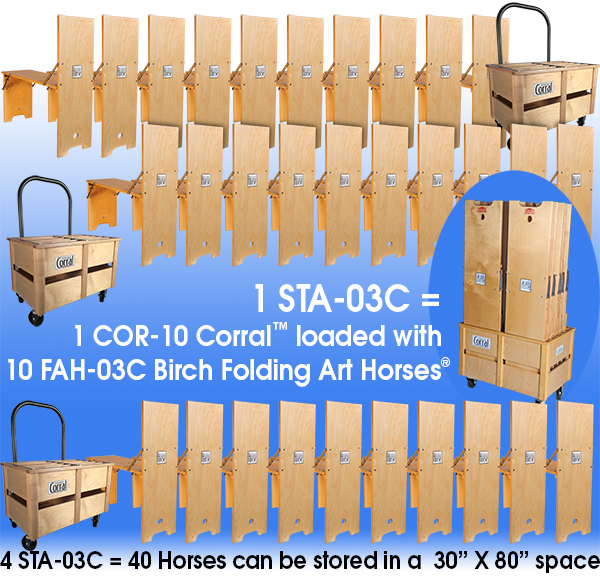 The brilliantly designed & patented Folding Art Horse® uniquely folds flat allowing for greater storage and portability. An individual bench sets up in seconds, and a group of 10+ can set up and draw in a few minutes. 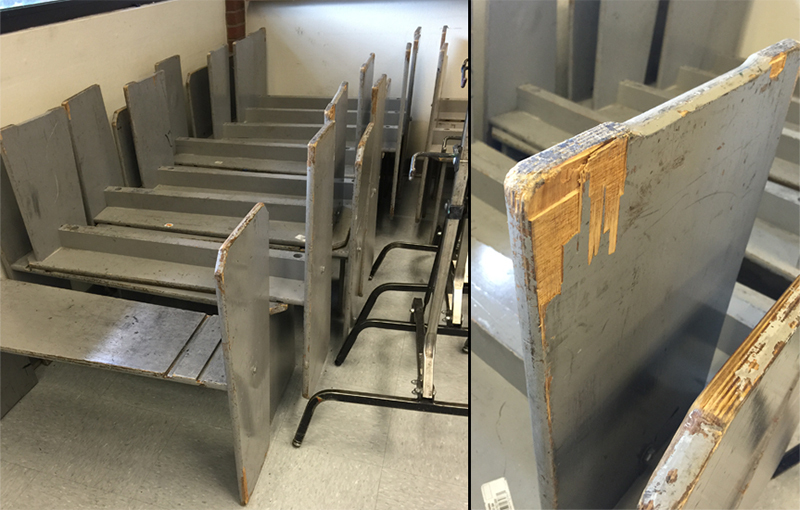 Imagine no more time consumed stacking and unstacking splintery old disrespected benches. Each horse has a peg hole for wall hanging or can be stored in a 20" X 30" space when housed in the utilitarian 10 horse cart on wheels. Our Stables™ offer a complete set of 10 horses and a Corral™ at a discounted price. 1) Do you still stack your drawing horses? Older abused drawing horses take time to set up, are a pain to use and don't demand the respect of your students. 2) Do they take up a lot of space? 3) Are your existing horses safe? It's worth checking out how sturdy and dynamic our product line is. Designed by artists for artists. 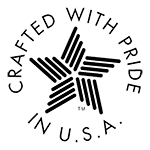 Our products are made to order in the U.S.A.